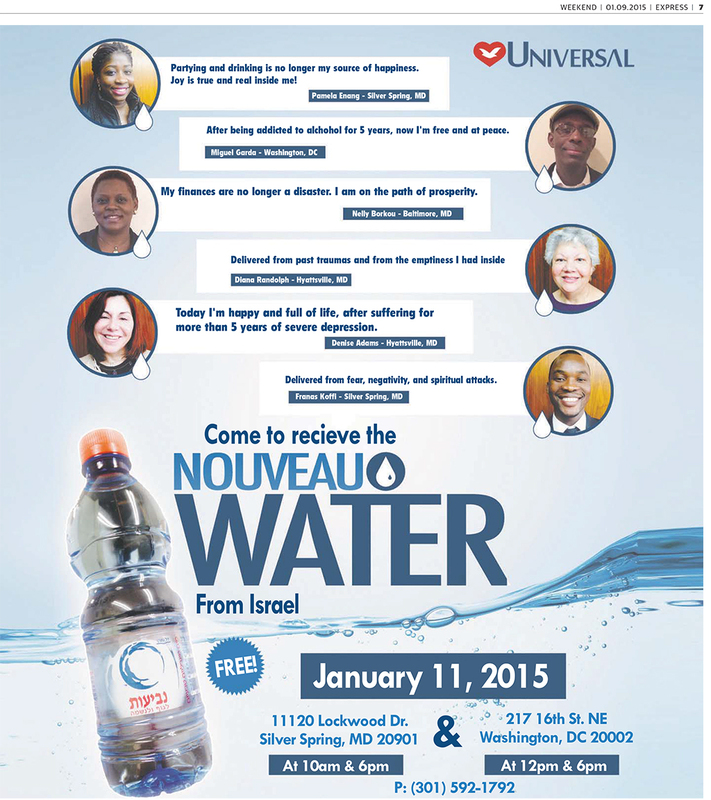 nouveau water: it can fix anything! In the same vein of Miracle Oil1 or those strange church revivals where the ads show people in wheelchairs and crutches suddenly walking again. But this one is a much easier scam, for which I compliment them. Show up, get some water, leave. Then attribute nearly any happenstance in your life that you consider to be a success or accomplishment to the Nouveau Water! Per the testimonials, this water can remove one’s desire for partying and alcohol, fix one’s finances, resolve trauma, cure depression and the most important one: block spiritual attacks! After looking at their website, which seems difficult to get to and unsurprisingly not referenced in the ad, I saw this gem. It’s very refreshing to see a church that’s brave enough to tell me what I need to hear. Not like those high-fallutin’ mega churches that just tell me what I want to hear. Well, since I need to… get a raise, lose ten2 pounds, clean my house, learn to rock climb, get a car and a new house, I’m totally down. I know what I’m doing this Sunday. Nouveau Water, ahoy! 1 Not the Hanukkah miracle. The footnote on “10” pounds looks like an exponent, so I thought at first you needed to lose 100 pounds. I’ve seen some great ads in years past about blocking spiritual attacks. Spirits are apparently attacking everyone. Also, I like that they say they are “NOT a religion.” It’s cute. It’s almost as if they believe that.